No matter how regularly you brush your teeth, or how faithfully you floss, it’s important to turn to your dentist in Salisbury for professional teeth cleanings twice a year. If your at-home oral care routine could use a little more consistency, then it’s even more important to ensure that you are getting your teeth cleaned regularly. After your teeth are cleaned by the professionals at Merritt Mill Dental Associates, your smile will probably look brighter, and your teeth will feel sparkly clean and smooth. But, the importance of dental cleanings goes beyond just maintaining a beautiful smile alone. 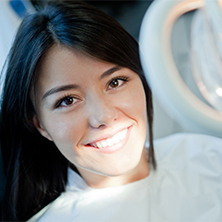 Why is it so important to get your teeth professionally cleaned? Over time, a layer of plaque — which is a sticky film rich in bacteria — and hard deposits (called calculus or tartar) builds up on the teeth and is almost impossible to remove without the use of special dental tools. If you let this build-up sit below the gum line or on your teeth, it creates the ideal environment for bacteria growth. This bacteria produces acids that cause gum disease, tooth decay, and eventually an infection in your gums. Dental infections aren’t just confined to the mouth, either, and can lead to diseases affecting the entire body. It’s much easier (and more affordable) to prevent a dental problem than it is to treat it, which is exactly why dentists recommend getting your teeth cleaned every six months. 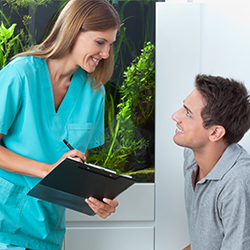 During your teeth cleaning appointment, your dentist also has the opportunity to examine your oral health. With regular teeth cleanings and dental examinations, you can take control of your oral health and prevent the two most common dental problems — gum disease and dental decay. 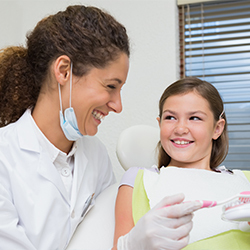 In most cases, teeth cleanings are performed by a dental hygienist — an experienced technician who is highly trained to clean the teeth using specifically designed tools. Everyone has their own unique needs, and we can tailor your cleaning to ensure that you get the very best results. However, most cleanings follow the same basic steps. 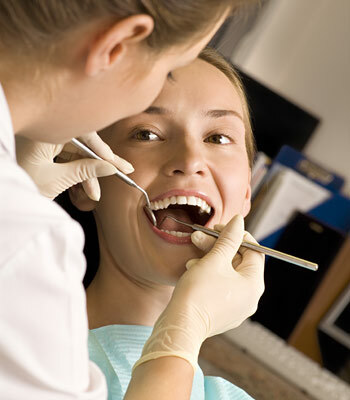 First, the dental hygienist will perform an examination of your oral tissues to evaluate how healthy they are. Then, they will use either metal instruments — called curettes — or an ultrasonic scaler to remove any tartar or plaque that may have built up on your teeth. An ultrasonic scaler is a handheld tool that has a small tip, which vibrates at a high frequency, and is used to break up hardened deposits on the teeth without damaging the teeth. There is also a constant stream of liquid — called lavage — that helps to keep the tip cool and remove plaque, as well as wash away the broken-up debris. Curettes are also commonly used to clean the teeth, and they are metal instruments that are designed specifically to fit in between and around teeth. Curettes are ideal for people with sensitive teeth. However, when you work with a dental hygienist who is capable and experienced, regardless of the tool being used, it only requires a moderate amount of pressure to remove even the most stubborn buildup. After all calculus and plaque have been removed, your teeth will be polished using a low-speed rotary brush that has a soft rubber tip and a slightly gritty gel. As the tip spins, the teeth are polished, leaving them smooth and sparkly. While many people actually enjoy getting their teeth cleaned, even people who don’t like it don’t typically report any noticeable discomfort during cleanings. However, if it’s been a few years since you’ve had your teeth cleaned, it may take some time to get used to the sensation. 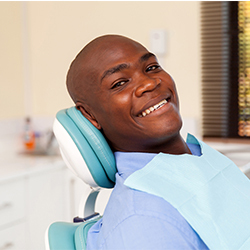 If you experience any pain or discomfort during your cleaning, please let your hygienist know. A topical numbing gel may be applied, or we can look into another anesthetic option, to ensure you have a more comfortable experience. If you have bacterial buildup on your gums, it could make them sore or lead to slight bleeding during your cleaning. Luckily, though, you can prevent this from occurring in the future by practicing regular dental care at home, like by using more advanced flossing techniques or specially designed mouthwashes. Bleeding gums may also indicate the need for an increase in in-office cleanings. Cleanings, examinations, and other preventative dental treatments will help reduce the likelihood of developing dental problems down the road, and this approach will keep your smile functional and beautiful for as long as possible.